Cost effective, lightweight, ready-to-run, right-angle drive bevel gearboxes, available with 1:1 or 2:1 output/input ratio. 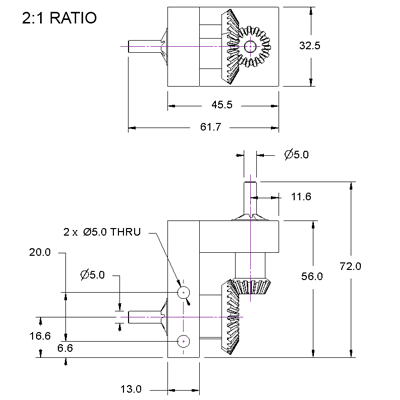 Gears are 1 Mod pitch, manufactured in natural Acetal Resin plastic, a tough and stable material, quiet running, and not requiring lubrication. 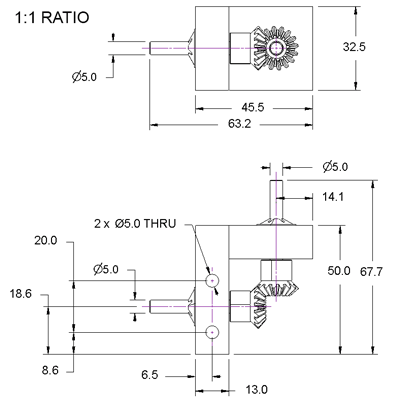 Robust construction and shaft location in black Acetal Resin plastic material (Dimensioned drawing below). 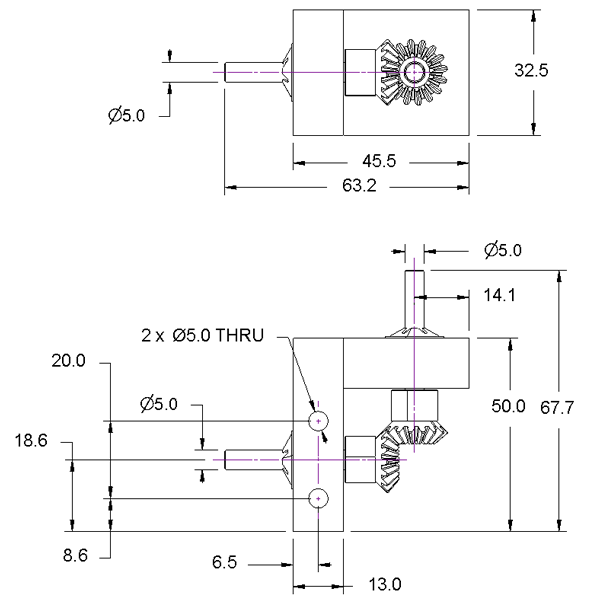 Stainless Steel input and output shafts, 5mm h8 diameter. 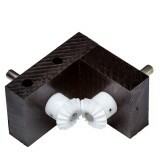 Simple M5 nut & bolt mounting at 20mm centres, compatible with our Meckit Construction System. Can be inverted to give either LH or RH configuration. 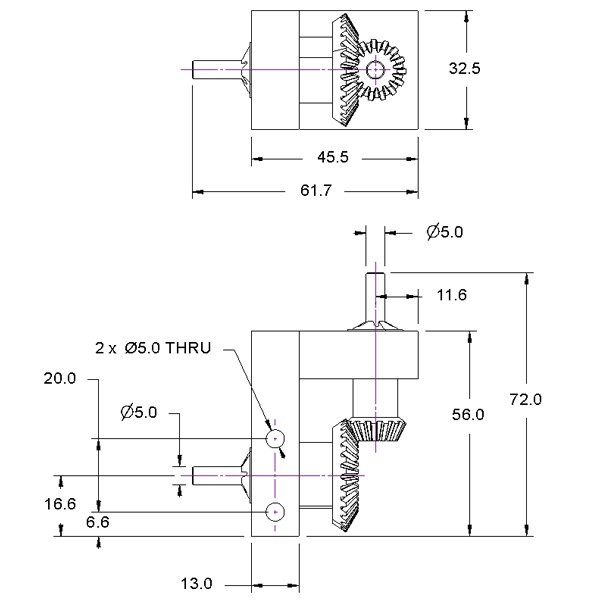 Select from our range of Gearboxes below. 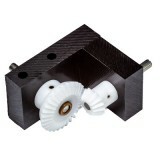 Bevel Gearbox, 1:1 ratio, plastic gears ..
Bevel Gearbox, 2:1 ratio, plastic gears ..